Britain’s Daily Mail in contrast refers to critics who view Canavero’s planned head-to-body transplant as “pure fantasy” comparing him to an out of control Dr Frankenstein. 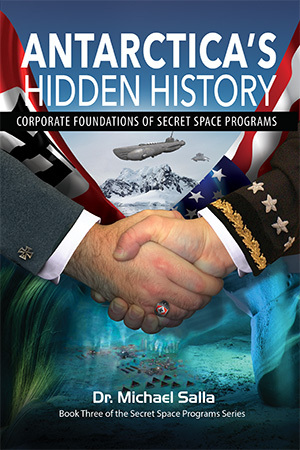 Canavero’s space exploration analogy is not inappropriate since his pioneering HEAVEN technique supports the bizarre claim of an unlikely space exploration witness. Randy Cramer (aka Captain Kaye USMC s.s.), claims to have spent 17 years on Mars in a highly classified space program protecting five civilian colonies from indigenous Martians. According to Cramer, innovative medical procedures are not uncommon in the classified programs as a result of alien battles on Mars. Incredibly, Cramer is here claiming that radical head-to-body transplant surgery is regularly used in a classified space program, and clearly has good survival rates since he has undergone the procedure twice, or so he claims! When I first read Cramer’s newsletter, I thought it must be a mistake, and emailed him for clarification. When I didn’t hear back, I thought that something must be awry with his testimony. Possibly an implanted memory or something else was going on that cast a cloud over his claims of covert military service in a secret space program. I was able to reach him by phone on April 10 to finally discuss his claim of twice surviving decapitation. He confirmed that he was indeed claiming that he had twice undergone a head-to-body transplant procedure as his newsletter suggested. 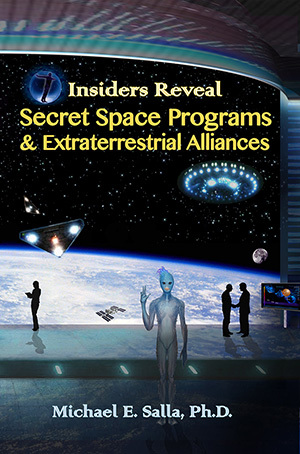 In an earlier newsletter and interviews, Cramer has described the advanced healing and cloning technologies used in the secret space program he served in which he called the Earth Defense Force. He says that cloning is a highly advanced science and that he saw clones of himself that could be used if needed for surgical procedures. That is indeed what he claims happened on the two occasions he was decapitated on Mars. His severed head was twice transferred to the body of a clone replica of himself. He said all that he could remember of the incidents were the explosions resulting in decapitation, and then waking up in a specialized medical unit. It would be easy to dismiss Cramer as delusional in claiming that his head has been severed twice, and reattached to another cloned replica of himself. That certainly was the first thought that occurred to me, and raised questions of how much of his testimony was laced with delusional beliefs likely a result of implanted false memories. Dr Canavero’s head-body surgical transplant, however, is not science fiction, but something that will very shortly be attempted for the first time, publicly at least. There’s a widespread assumption that any pioneering technology or techniques developed in the “white-world” of open source literature, has been secretly developed decades ago in the “black-world” of highly classified programs. This makes it highly likely that Canavero’s head-to-body surgical procedure has been secretly developed and used in classified programs decades ago. Cramer’s decapitation claim now doesn’t sound delusional or so bizarre after all.